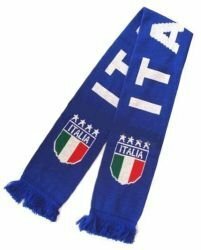 This scarf is essential kit for the followers of the world's most successful footballing nations. Double jacquard knitted, 100% acrylic with Soft fringes at both ends, name and team logo on each side. Double jacquard knitted soccer scarf. If you have any questions about this product by Reppa, contact us by completing and submitting the form below. If you are looking for a specif part number, please include it with your message.